The Delta Mu chapter of Kappa Delta was founded March, 23rd 1968 and recently celebrated their 50th anniversary. The organization has been nationally recognized, and has received awards on several occasions at National Conferences around the country. 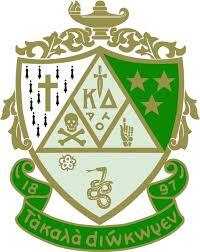 The Delta Mu chapter of Kappa Delta has also initiated over 700 members. The philanthropies supported by Kappa Delta are Girl Scouts of America and Prevent Child Abuse America. The sisters of Kappa Delta host sev-eral Girl Scout events throughout the year along with their Shamrock Week, benefitting PCAA.